Arrival at Cochin, check in to hotel. 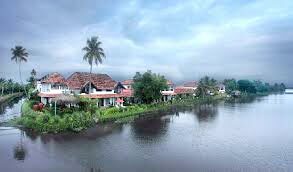 Proceed for Cochin sightseeing covering, Jewish Synagogue, St. Francis Cathedral, Dutch Palace and Chinese Fishing Nets. Stay overnight at hotel. Morning proceed for Munnar on the way visit Hill Palace Museum. Reach Munnar by noon. Have a stop at view point. Check in to hotel. Munnar Sightseeing covering Tea Plantation, Mattupetty, Echo Point etc. Morning proceeds for Rajamalai sightseeing "Nilgiri Thers" are found. Visit Tea Museum. Night stay in hotel. Proceed to Thekkady (4 hrs journey). Check in at hotel. Visit Pariyar Wildlife Sanctuary. Go for boating in the Sanctuary lake to see wild animal Elephant, Deer etc. come back to hotel. Early morning, proceeds to Alleppey. Have sightseeing in the boat which will be a fascinating experience. Proceeds to Trivandrum. Arrival at Trivandrum. Check in at hotel. Proceed for Kovalam. Spend the evening at the world famous Kovalam beach. Stay overnight at hotel (Trivandrum). Morning proceeds for sight-seeing covering famous Padmanabha Swami Temple, Museum, Zoo & other. Overnight stay at hotel. Morning depart to Kanniyakumari & on the way visit the famous Padmanabhapuram Palace & Sucheendaram Temple Reach Kanyakumari by evening. Check in at Hotel. Visit the Vivekananda Rock Memorial & other. Night stay at Kanniyakumari. Morning check out from the hotel drop at Airport / Railway Station to Depart to your home town. 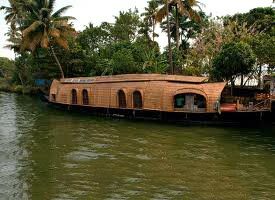 Note: - Season - A/C deluxe houseboat Rs.6000/- per couple extra at the above rate. 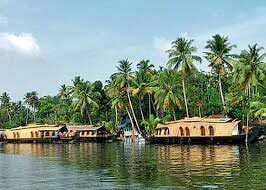 Christmas & New Year season A/C deluxe houseboat Rs.8000/- per couple extra at the above rate. 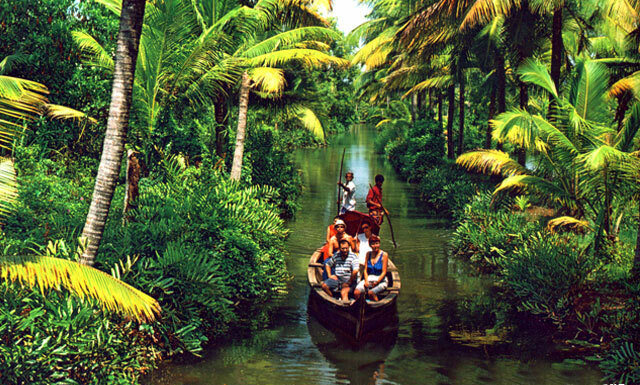 Honeymoon In Kerala - Standard Tour Packag.. 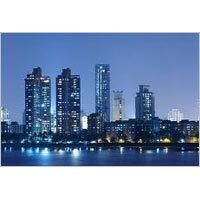 Destinations Covered : Kumarakom, Kochi, Kovalam, Thekkady, Thi..